Every once in a while an artist emerges who has the ability to move fans emotionally by creating an unforgettable musical experience. Artists of this quality come from undeniable talent, and radical vulnerability. This is the heartbeat of David Davis. For as long as he can recall, David has been fixed on a career in music. Chicago-born and surrounded by eight siblings, he captured attention by belting out Motown classics, performing in church, and always finding his way to a stage. He perfected his piano and performance skills while studying in the nationally renowned Belmont University music program, drawing inspiration from the likes of Stevie Wonder, Donny Hathaway, and India Arie. David has recorded with legendary producers, from RedOne (Lady Gaga, Nicki Minaj, Jennifer Lopez, One Direction) to Aaron Sprinkle (One Republic, Eisley). He has garnered a wide range of awards and reviews, has featured songs on hit TV shows, and has amassed over 500 shows in the last 2 years cross-country. He has played to sold-out clubs and festivals, both as the headliner and as an opening act for the likes of Jon Bellion and John Legend. 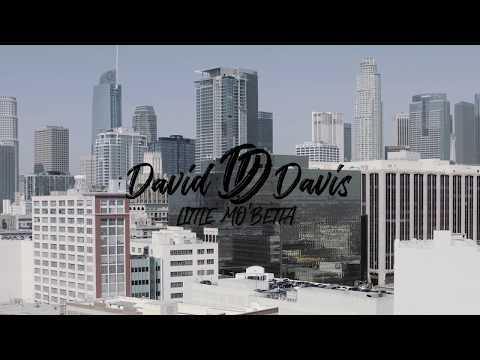 David’s voice, arrangements, and productions have been featured on chart-topping records, commercials for major brands and networks, as well as across hundreds of stages internationally. His debut album, “The Long & Short of It” will be released August 31st, 2018.